The Vintage Pattern Selector is a practical sewing book that arms the reader with all the techniques and information they need in order to mix and match clothing styles from the 20th century. Accompanied by a CD with printable patterns for a range of dress sizes, this book is a comprehensive guide to creating contemporary outfits from vintage styles. For home sewers and fashion enthusiasts, vintage clothing isn't merely a device to replicate specific looks from a specific era, but instead, an opportunity for limitless style options that draw on decades of experimentation with hemlines, colour, styles, and silhouettes. Wear a 1960s style shift dress with a classic 80s blazer. Match a 40s' cowl neck blouse with 70s' style tapered trousers. 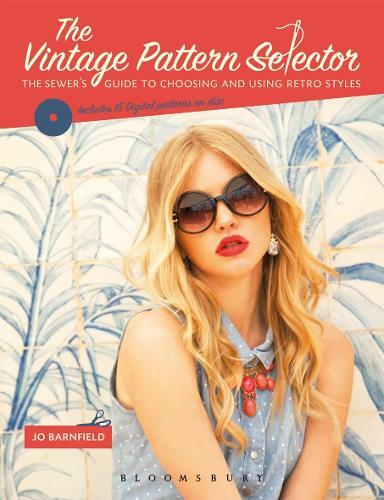 The Vintage Pattern Selector is the ultimate handbook to show the reader how to choose the right fabric, colour palettes, styles, and patterns in order to create contemporary pieces that reference these timeless styles and designs.